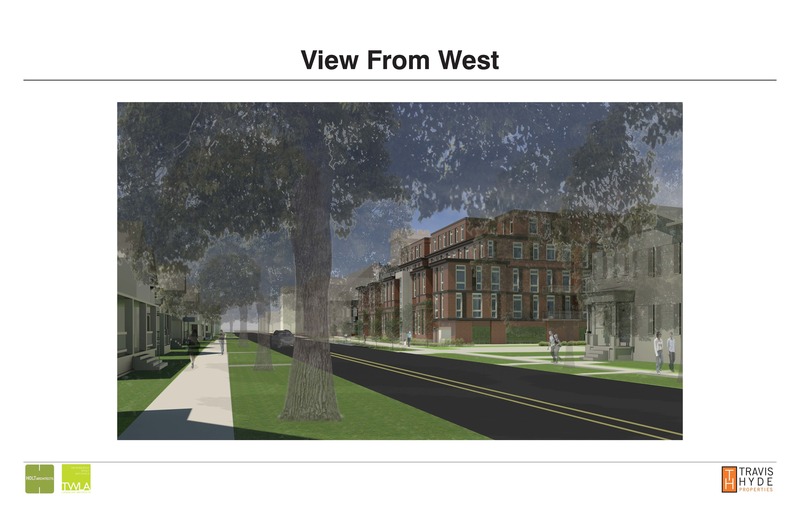 ITHACA, NY: Travis Hyde Properties and Bridges Cornell Heights have formed a partnership to develop an active senior residence on the site of the former Tompkins County library. Travis Hyde Properties, led by Frost Travis and Chris Hyde, is a local developer of housing and commercial projects in Ithaca. Bridges Cornell Heights is a pioneering senior living provider founded by Elizabeth Classen Ambrose. The new residences will blend the Travis Hyde Properties expertise in property development with the Bridges Cornell Heights innovative approach to senior living. Sixty-seven units will be included in the project, situated at the corner of Cayuga and Court Streets. One-, two- and three-bedroom options will be available. Amenities will include a restaurant, à la carte home health services from an on-site agency, community room, courtyard gardens, workout facilities, warming pool, and parking. The new partners will also be working with neighboring LifeLong, to provide on-site activities and programs. 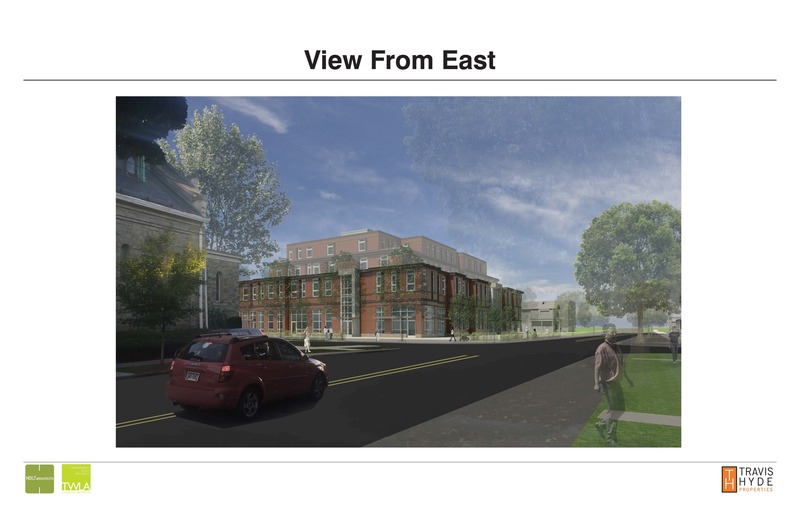 Designs by HOLT Architects are being finalized, and feature a 4-story building surrounding a courtyard garden at the southeast corner of the property. Parking will be below ground and amenities will be ground level. Travis Hyde Properties, a family-owned business, has been operating in Ithaca as a property manager and developer since 1977. Travis Hyde Properties has 38 employees and owns and manages 900,000 square footage of property. The Travis Hyde Properties portfolio includes residential, commercial, retail, medical professional, storage and light industrial spaces over 19 properties in Ithaca and Binghamton. Iconic properties in the portfolio include Center Ithaca, Eddygate, Clinton House, Carey Building, Gateway, and the River House in Binghamton. Bridges Cornell Heights operates several licensed enhanced assisted living residences in Ithaca, New York. Founded in 1989, Bridges Cornell Heights employs 50 workers. Bridges Cornell Heights served as the prototype for the development of NYS Enhanced Assisted Living Residence Licensure and has been recognized for sensitive development in a historic district by Ithaca’s Rotary Club and Historic Ithaca. Principal Elizabeth Classen Ambrose has innovated in the area of senior living by concentrating on the intersect between hospitality and healthcare. With an exceptional resident to staff ratio of 4-to-1 (which far exceeds the industry standard staffing ratio of 9-to-1), the Bridges Cornell Heights focus is on extremely high level of service. “When we started talking about partnering for an active senior living space downtown, it was obvious that our skills would fit together for this project,” Elizabeth says. “Also, both of our businesses are continuously studying the Ithaca market, even if it comes from different angles. Both of our businesses rely on integrity and service.” She adds that the Ambrose, Travis, and Hyde families all have been friends for more than a decade. The partnership agreement was formed in November of 2017 and is a Limited Liability structure.